It’s no secret now that the millennial generation, those born between 1980 and 2000) have a higher buying power in real estate than we first imagined. According to the 2015 NAR Home Buyer and Seller Generational Trends report, 32 percent of home buyers are from this group. While 15 percent make up home sellers, that number is growing. So it’s important to understand and communicate with this demographic in very specific and targeted ways. Much of working with millennials is grounded in understanding their unique position as well as how they think. The home selling and buying process is confusing enough, but to a new generation of home sellers and buyers, it is a whole other playing field. Seventy-five percent of millennial home sellers are first-time sellers, so it’s imperative to know that you will have to walk them through the process and do temp checks often. Millennials talk, whether its in person or via social media, so ensuring that you answer their questions, pay attention to their needs and give great advice, especially, is where you will win with them and give them the confidence to refer you their friends and family. On the same token, be prepared for their questions. They’ve grown up with easy access to information, so it’s good to know everything about the neighborhood, mortgage rates, the current state of real estate in your area and other specific details that they already have at their fingertips. Their expectation of the information that you can provide is even more crucial to winning them over than with past generations and builds their trust with you. The millennial generation is a savvy one. Purchasing decisions, as you can probably tell from ads that cater to their likes and needs, can sometimes be based solely on their being moved by what they see or hear. Your messaging and the conversations you have with them should do the same. Discussions around their lifestyle and their goals in selling or purchasing a home are great places to start. Trust is a huge selling point, too, in working with an agent. With so much information and opportunities to connect with agents before they find the right one, providing valuable, straightforward information that makes the whole process easier will help a millennial choose one agent over another. While a millennial with the power to buy or sell a house is still business at hand, trust is also captured by building rapport. Keep to the facts but don’t be afraid to be personable and light at times to help them feel at ease. The NAR report notes that a whopping 88% of home sellers in this group are couples, so look to both partners when communicating and seeking information. 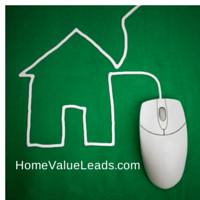 Social media is a key tool in your real estate business when reaching millennials. More than any other generation, they rely on Facebook, Twitter and even LinkedIn to connect with businesses like yours. Within your social media strategy, you should incorporate a specific mini-strategy that caters to this group. They also depend on online reviews a lot more than other demographics. Take time to establish your presence on review sites, encourage your clients to leave reviews and follow up on any negative or even positive reviews. You might not believe with all of the technology this group has grown up with that face-to-face, personable contact is important. Follow-up and meaningful communication can go a long way in establishing a relationship that benefits your business beyond a home sale or buy. Offline, they don’t mind text messages as much. In fact, most millennials prefer it, in addition to the good old-fashioned phone call. Where other generations might think of such communications as a hindrance or an interruption, millennials welcome direct channels that they are already using.